New art is coming to both our galleries for the season, and we are very excited! To Amiro Art & Found, we bring the color filled canvases of Ray Brilli. His love of St. Augustine is profound. “As I walk through this city, the sense of Europe is everywhere, not just in one’s eyes but with its aromas as you walk past the little shops. A new found excitement to an artist’s eye is always there, and it need only be sparked by turning a corner, and there before you lies a new scene waiting to be painted.” Ray's love of our city shines through and his impressionist style adds a dreamlike quality to the romance of our home. Imagine rising before the sun for a 1000 days to shoot the sunrise over the Atlantic. Coming to Amiro Art + Design, is LeeAnn Kendall. What started as her morning ritual to greet the new dawn has turned into a vast archive of sunrise images. 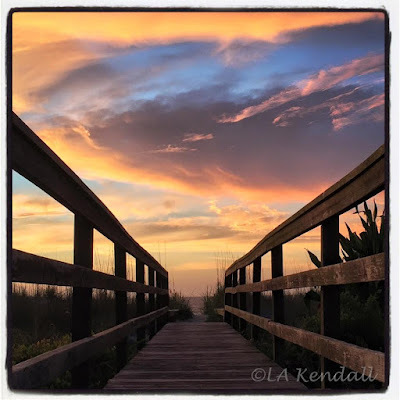 LeeAnn shares daily sunrise images and morning minute videos on Facebook and Instagram, and has gained thousands of social media followers around the world. Many have said they depend on her sunrises to start their day and others have told her this is their connection to the ocean or the only time they ever see a complete sunrise. Leeann will be sharing a selection of her works with us and also offers her archived photos for one-of-a-kind wedding, baby and special occasion gifts from your special dates. "There is mystery in a rough plank of wood sitting in a lumber yard and it arouses my curiosity. At this point of the project, reading grain can be difficult and I often can get just the barest sense of the wood’s potential. 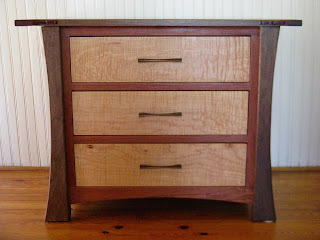 It isn’t until I run it through my jointer or plane it a bit that I see more of it’s possibilities. Then I feel moved to interact more deeply with it. I know that if I am disrespectful or inattentive with my tools or the wood itself, I can get into trouble: both can bite - splinters are painful, toolbites are often more unforgiving. So for me, woodworking is a process of slowing down and paying attention, taking a breath and being patient; It’s my meditation. Making joints disappear, having grain transitions seem a natural aspect of the wood itself and using complimentary species of wood in a piece give me great satisfaction." As well as these amazing new works coming to our Gallery, we also feature many other artists. At Amiro Art + Design, we have Gabrielle Gould, Trasea Womack , Estella Fransbergen, Chris Crosby, Lyn Asselta and others. 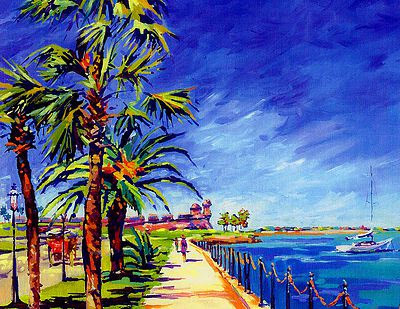 At Amiro Art & Found, you can see the works of many of St Augustine's artists, including Jan Master, Ginny Bullard, Wendy Mandel McDaniel, Deane Kellogg, Marcia Siany, Lori Hammer, Jim MacBeth, and more.